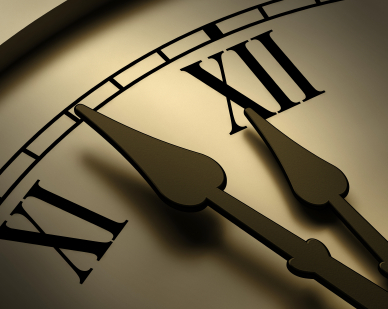 A New Year: Time moves on, or does it? New Year’s Eve is one of the days when we can put ourselves under pressure by our understanding of time, which leads to judgmental thoughts. Mindfulness practice emphasizes awareness of the present moment, without judgment, as being the only moment that we have to work with to produce happiness. This is based on a frequent teaching in the Buddhist tradition, such as in The Sutra on Knowing the Better Way to Live Alone, where the Buddha advised his listeners not to dwell on the past and the future, but to live mindfully in the present. However, we can find a similar understanding in the Christian tradition from St Augustine, who argued that the past has no actual existence now, and that the future has yet to come. We are subjectively alive and conscious only now, however much we like to run away from that. A lot of stress this day comes from how we allow ourselves to see time as an external thing, which happens to us. Modern society likes to see time as something that has to be productive, provided we simply take better charge of it. Once we understand it this way we can easily fall into the fears associated with thoughts of it “being wasted”, “not being used well enough” or “going too fast”. These thoughts become judgmental on days like New Year’s Eve, as we evaluate the past year and feel we have not used time well enough, or push ourselves with resolutions to “use” it better in the future. We even compare how we are using the minutes and hours just before midnight as some sort of measure as to how popular or successful we are. This creates mental time zones in our head – a future imagining of something better and a current dissatisfaction with aspects of our life now – which serves to make us feel misplaced in the present. We mentally want to relocate into the future and this creates a tension which can be felt in our body and in our emotions. However, time is not something that exists independent to us. We create time and the sense of its passing in our minds. Therefore, it is linked to our inner contentment and gratitude more than to any outside, objective standard. The future exists mainly in our thoughts, and is largely a projection of the fears and desires which exist in us now. Seeing this, we realize that the only place we can work on our happiness is not tomorrow or next week, but now. Most of the talk about future resolutions are rooted in some understanding of effort and pushing, which only ultimately increase the tension they are designed to relieve. On a similar level, the past can also cause us suffering today. One of the main ways is by replaying the events of the past year and repeating stories to ourselves about them . We seem to hang onto painful events just as much as happy memories; indeed we get some of our present identity from them and are almost afrauid to let them go. Thus we lose the present moment by letting memories or events of the past year impact on us, turning into a fear, which we mask as judgment or contempt, thus creating discontent, striving, and comparing. The best way to ease this suffering is to develop a compassionate understanding of oneself and others, softening the heart rather than hardening it. Mindfulness practice is slowly accepting ourselves, without judgment, in the present, as it actually is. Suffering comes from demanding more choices than what the present reality is actually offering. The present moment then becomes problematic for us and we deal with this by wishing or dreaming, pushing or blaming. Accepting the present moment means allowing whatever emotions that arise on this day to arise, without seeing them as pointing elsewhere, or implicating anyone. In that way this day is like any other day: we have the choice to work with our reality with compassion or with fear. With compassion the fear of the future or the blaming of the past can dissolve; we are left with the ongoing unfolding of life itself, not our thoughts about it.